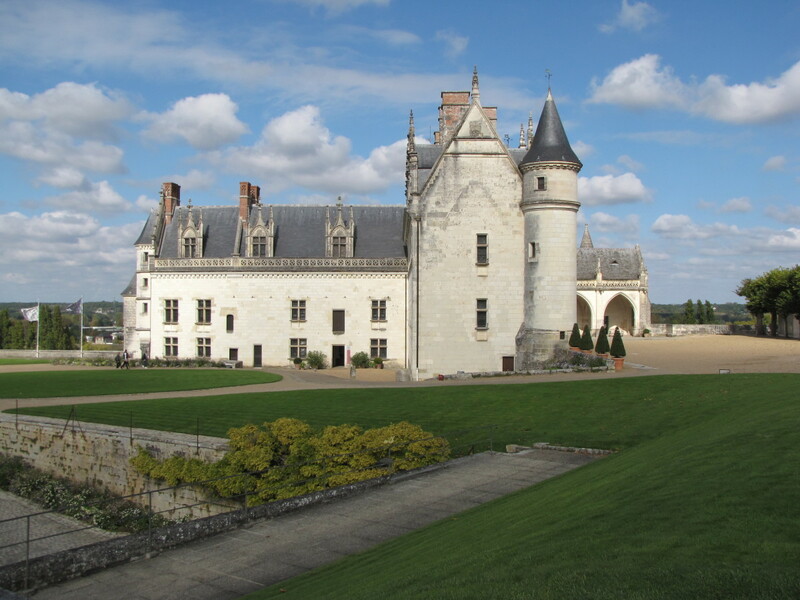 Tucked away in the picturesque French countryside just outside of Amboise is the charming Chateau de Pintray. Conveniently located in the heart of the Grand Chateau region with a host of interesting vineyards and wine caves nearby, Chateau de Pintray makes the perfect base from which to explore this fascinating region of France. 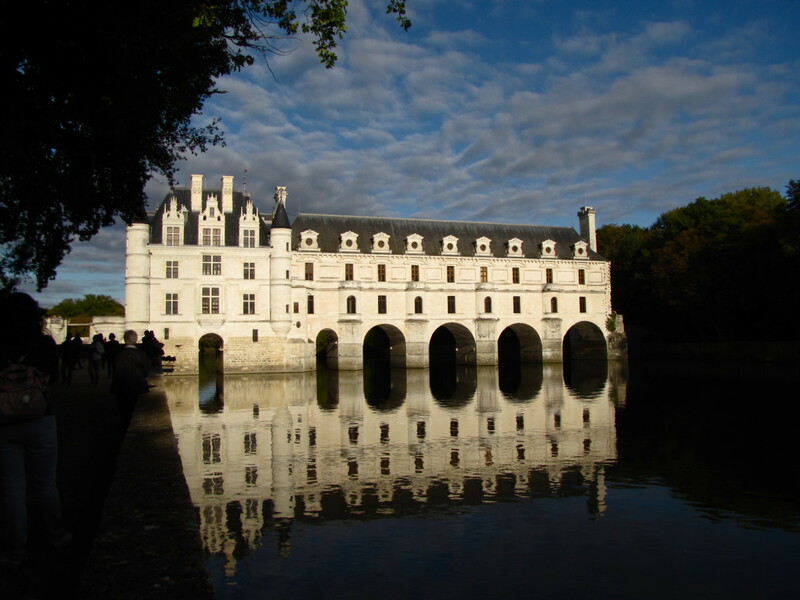 The Loire Valley is approximately two hours southwest of Paris, and while you can visit this region as a day trip from Paris, it is worth spending at least a few days here to fully appreciate the culture and beauty of this area. 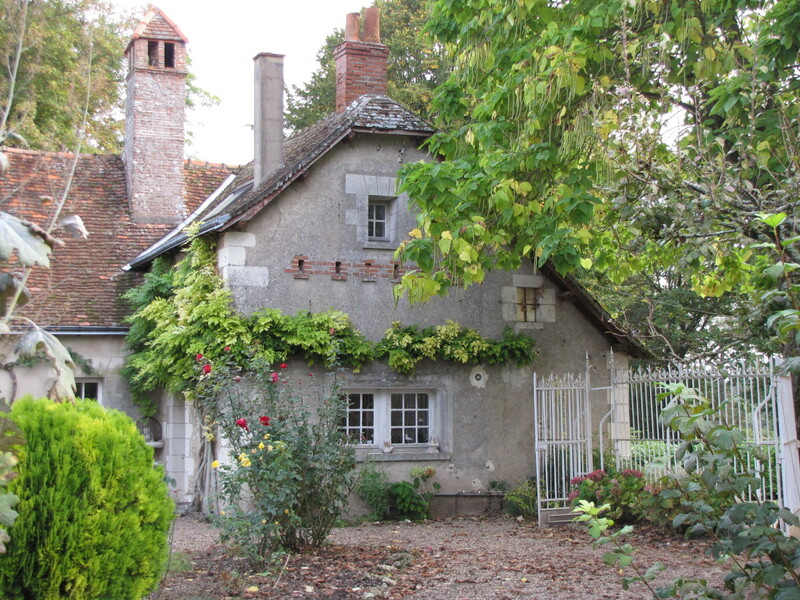 Should you decide on an extended visit to the area then I have just the place for you to stay that will only serve to enhance your appreciation and enjoyment of the Loire Valley. 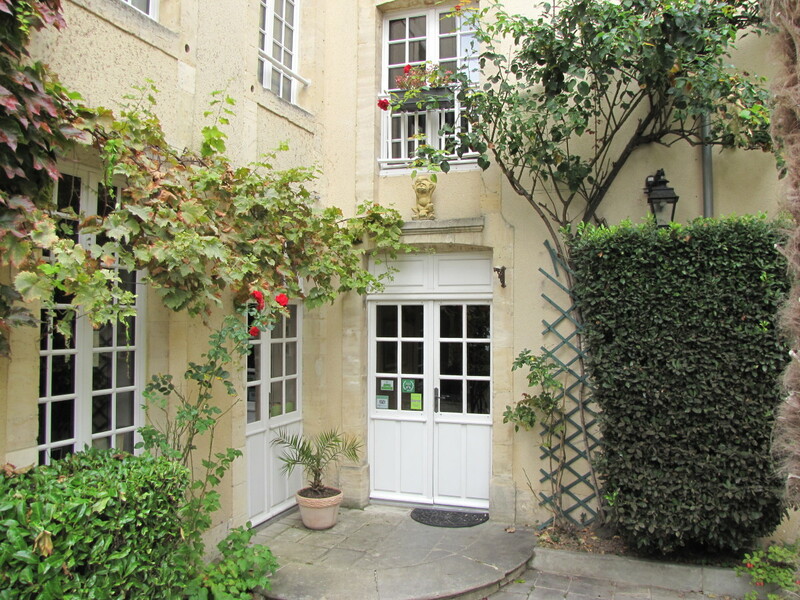 Hosts Anne and Jean Christophe Rault have created an oasis of relaxation and authentic French living. Chateau de Pintray was the home that Jean Christophe grew up in since the age of twelve, and his parents still reside there and help run the Bed and Breakfast and winery. The chateau dates back to at least 1467, and the property has a fascinating history that has taken it from the days of Dukes and Lords, through the French Revolution, to it status today as a highly respected and sought out accommodation for visitors to the region. 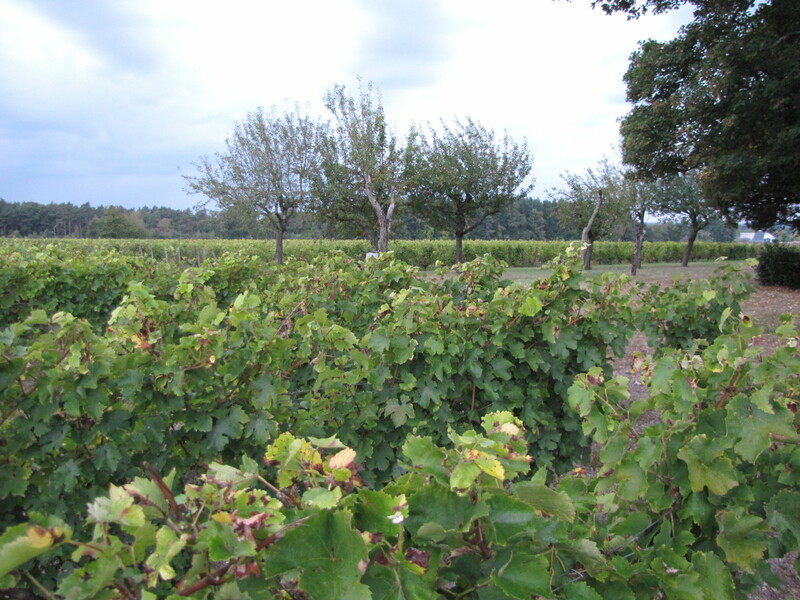 The five hectares of vineyard that surround Chateau de Pintray are worked by Jean Christophe, and the property yields an amazing assortment of magnificent wines from a very dry to a very sweet white wine. Pintray produces about 15,000 bottles of white wine each year that are distributed throughout France, and northern Europe. After spending an evening doing a wine tasting with Jean Christophe, it is clear that he is a very hard working young man who has a deep passion for this land. While Jean Christophe works the winery, his charming wife, Anne, runs the Bed and Breakfast. As we pulled into Chateau de Pintray, Anne warmly greeted us, and we quickly came to the conclusion that she is a delightful bundle of joy and energy. After a quick tour of the chateau we realized that we had once again made the right choice of accommodations, and our only regret was that we could not stay longer. 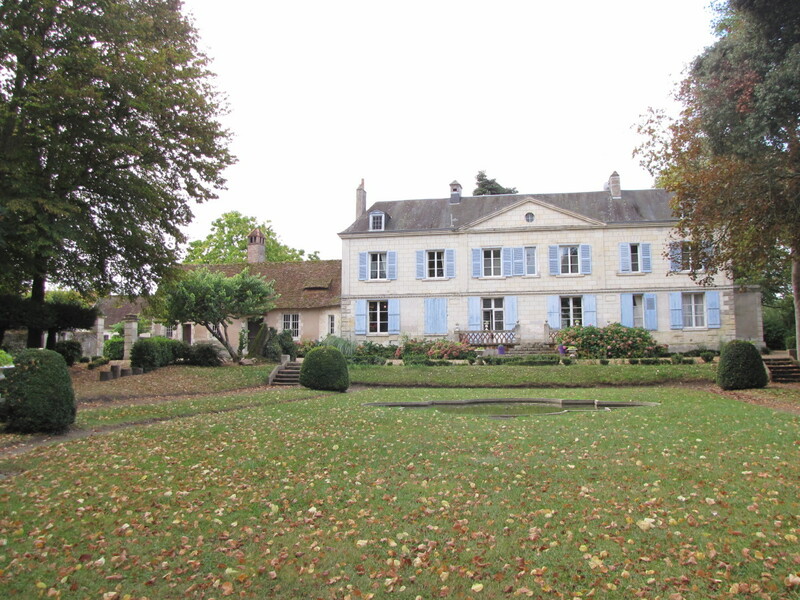 Chateau de Pintray has five very large, comfortable, and tastefully decorated rooms with two on the first floor and three on the upper level. Two of the rooms are family suites that have two sleeping areas for those traveling with children. The bathrooms are clean and spacious and our room had a picturesque view out to the vineyard. The first floor of Chateau de Pintray contains a wonderful common room with a large fireplace, plenty of comfortable seating, lots of reading material on the area, and a refrigerator for storing food or your favorite beverage. The nearby breakfast room has a large table to accommodate all guests, and there is even a billiards table should you want to shoot a little pool. If the weather allows there is an outdoor sitting area, and by all means take a stroll around the property and through the vineyard. It is here that you will realize just how quiet and peaceful the area is. 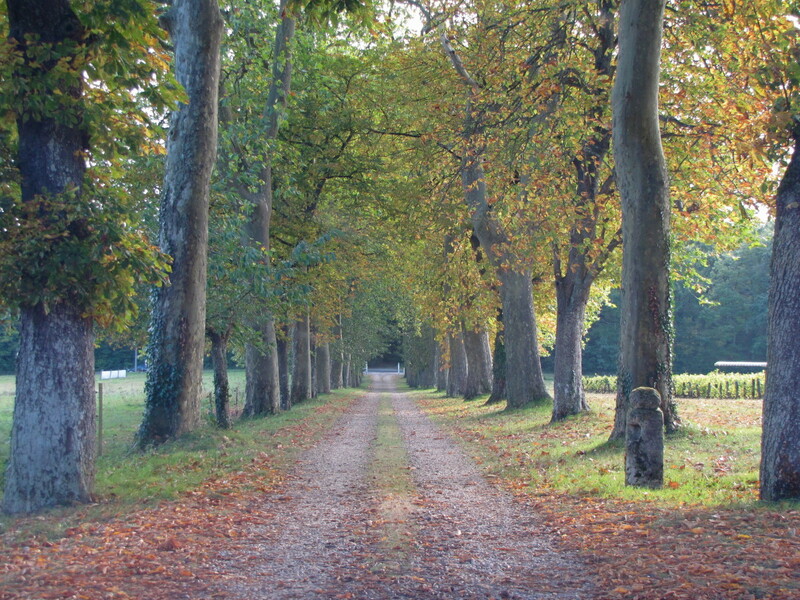 Set a few hundred meters off the road, Chateau de Pintray really is the quintessential French country setting. Each morning we were greeted by Anne with an infectious smile, and a wonderful breakfast, which included an assortment of fruits, croissants, breads, yogurt, yummy homemade jams by Christophe’s mother, and a wide assortment of coffee, tea, and juices. Anne really is very attentive to the needs of her guests, and she goes above and beyond to make sure you have everything you need for a comfortable stay. Should you need a restaurant recommendation, just ask Anne. Need directions or advice on how to spend your time here? Anne has a wealth of knowledge on the area, having grown up in nearby Tours. 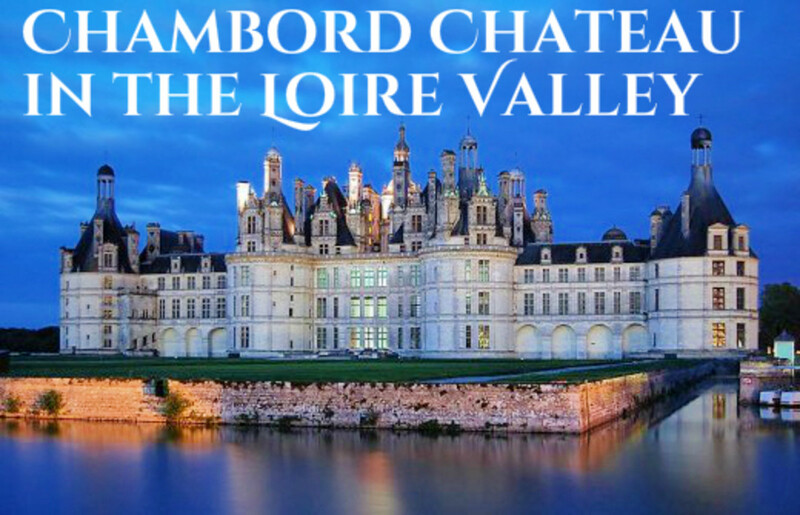 If you are here in the area to see a few of the Grand Chateaux of the Loire Valley then Chateau Amboise is but ten minutes away. 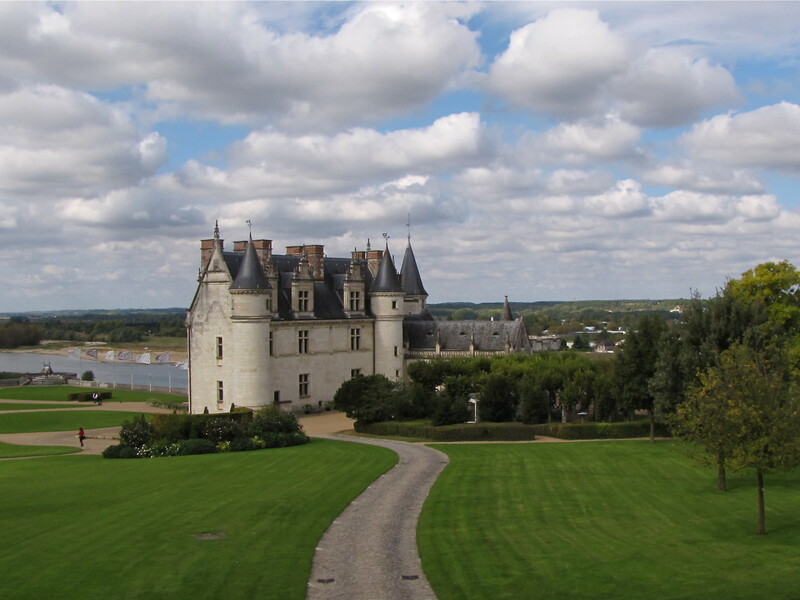 This beautiful chateau sits high above the town of Amboise with great views of the city, and the Loire River, and is the final resting place of Leonardo da Vinci. 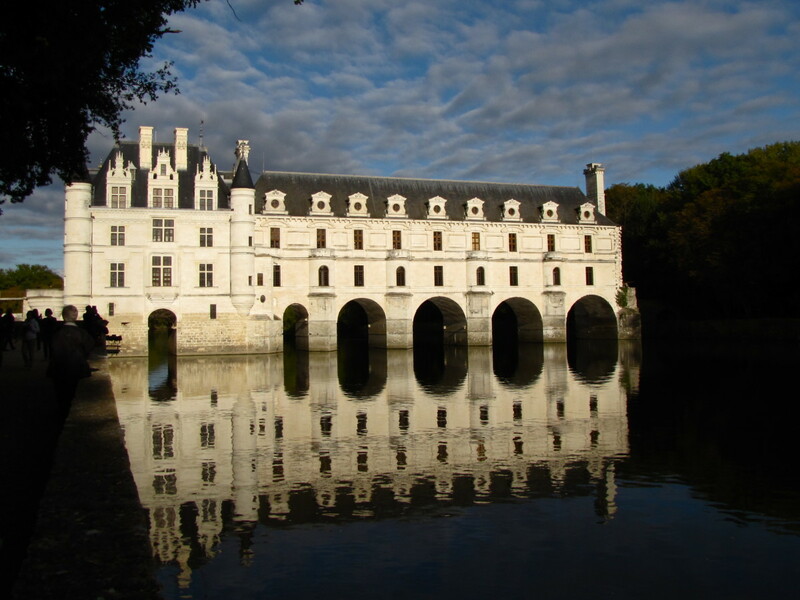 The even more stunning Chateau Chenonceau is an easy twenty minute ride away, and is consistently listed as one of the top five chateaux in the Loire Valley. 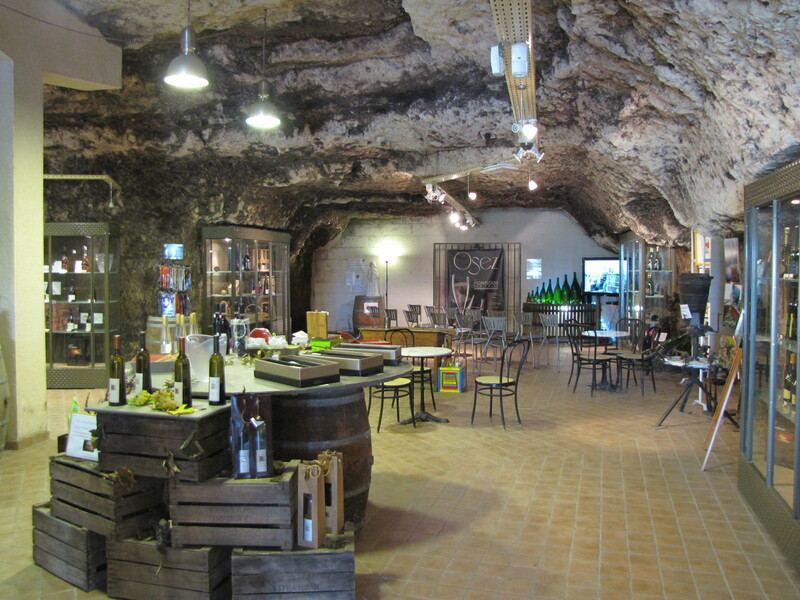 Looking for a wine cave to explore then head to Montlouis Caves located just a few minutes from Pintray. A few miles further west toward Tours, and there are a number of wineries and wine caves to explore not to mention the wine tasting. Would you consider staying in a Chateau? Before you start thinking that a stay at Chateau de Pintray is going to break the bank, let me alleviate your fears. 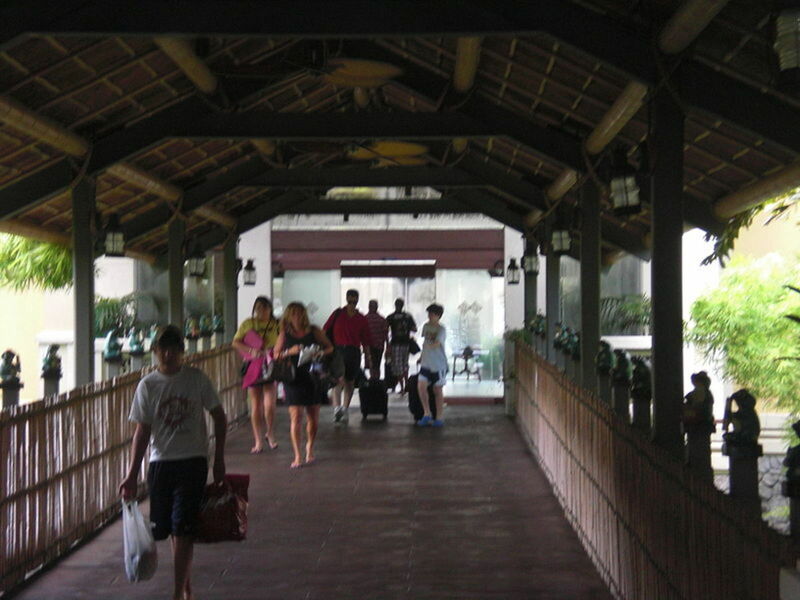 The rates are extremely reasonable and include all taxes and a wonderful breakfast. There is even a 10% discount for stays of 4 nights or longer. 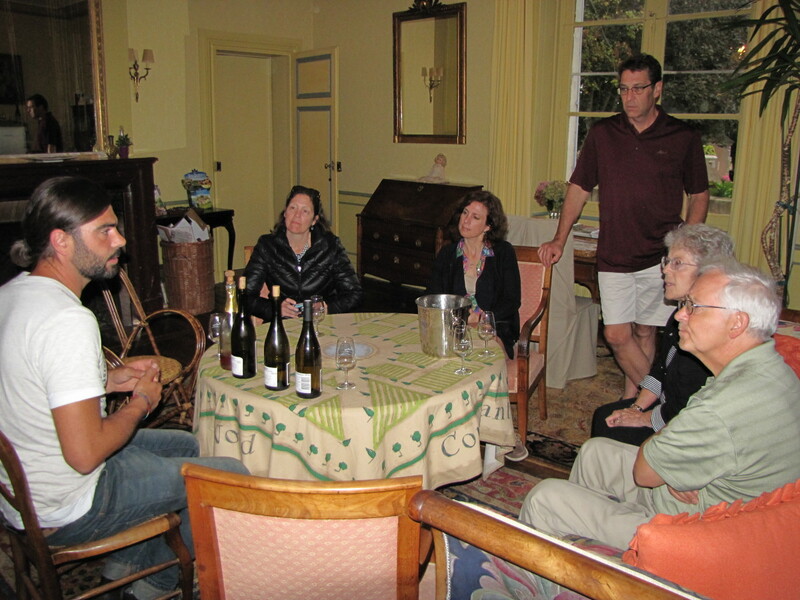 Chateau de Pintray is open year-round, and offers wine tasting to guests daily at 6:30 pm. 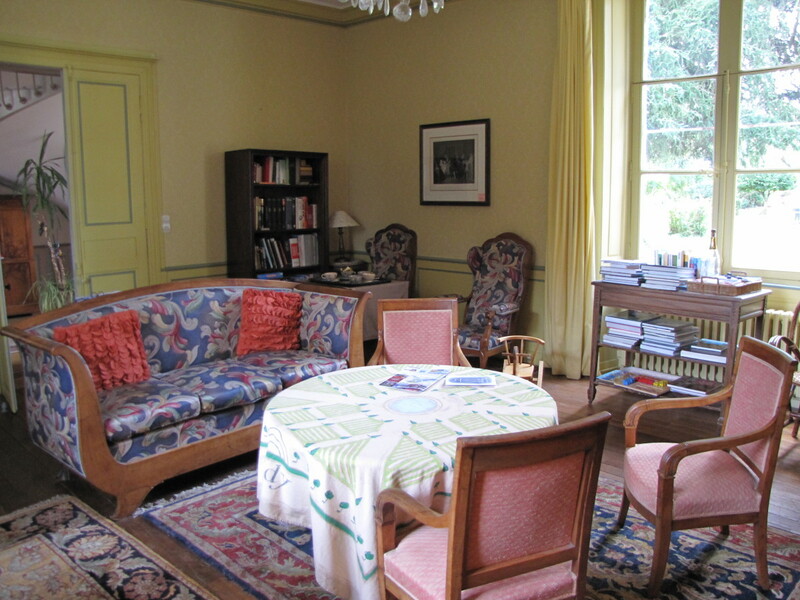 The rooms range in size from 28 to 50 square meters, which is exceptionally large, and not common here in France. If the weather permits the grounds and outdoor seating can be used for a picnic with a wonderful view of the vineyard. 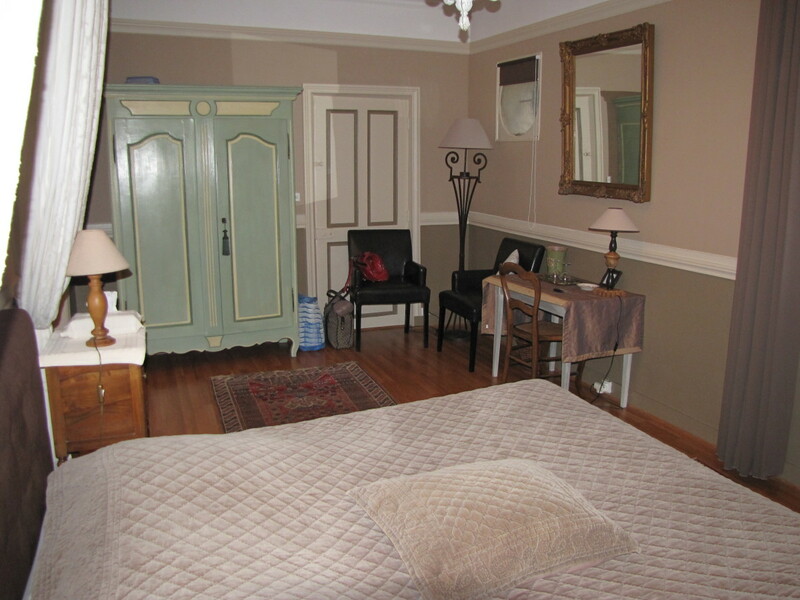 If your travels are taking you to the Loire Valley of central France you will have a number of options for accommodations. There are hotels, apartments, bed and breakfasts, and of course chateau’s all waiting to welcome you. 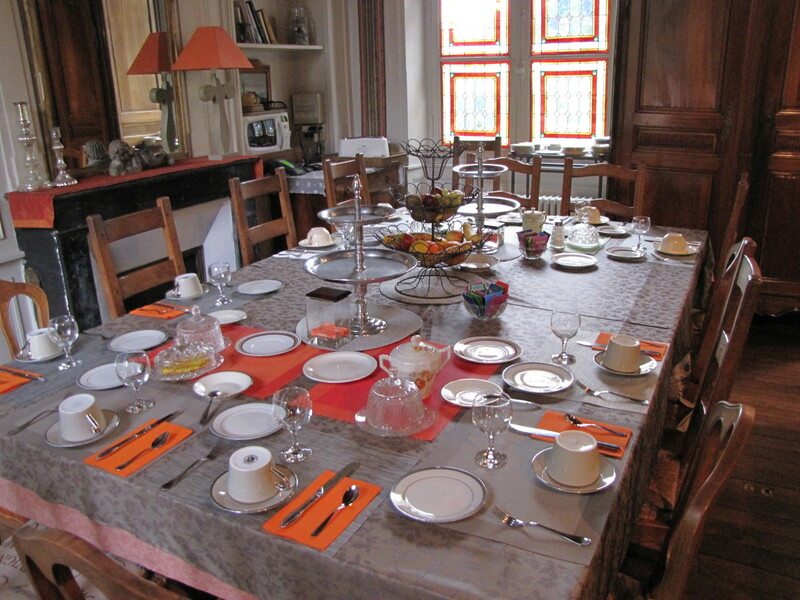 Why not try something a little different and stay in an authentic and classic French chateau? It’s much like staying in an Agriturismo that is popular across Italy. Chateau de Pintray is a charming historic home with a fascinating past set among a beautiful working vineyard in the French countryside. I don’t know how you can do any better than this. Hi Mary. Thank you. It's a wonderful place in a beautiful setting. Our only regret was that we didn't stay longer. Have a great weekend. I already love this chateaux from your description. Next time we go to France, we'll give this a try. Hi Akriti. Thank you. I have not been to India yet. Perhaps at some point in the future I will make it there. I noticed a few of your hubs on India and will have to give them a read. Thanks so much for stopping by. Read 4 of your posts till now and i can very confidently infer that you are a lover of travel :) Cheers to that. Your posts are worth reading. I'd like to ask you - Have you ever been to India ? Nice... I've been to France, Italy, Spain, Greece, Belgium & London and I would move to France or Italy in a heartbeat if given the chance. You really can't go wrong in either of the two! Hi Dianna. Thank you. 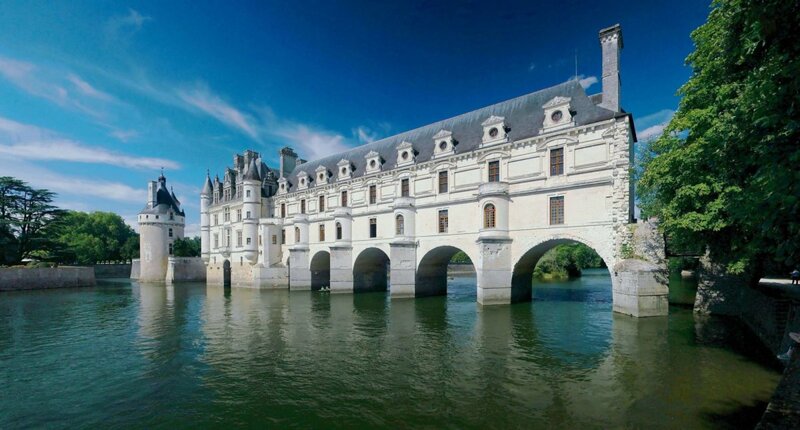 The Grand Chateaux of the Loire Valley really are something out of a fairy tale. Just a wonderful region of France. Glad you enjoyed the tour. Have a great day. The Chateau Amboise is what I picture as a true castle, complete with fairy princess and all the charm. The wine cave looks so interesting. 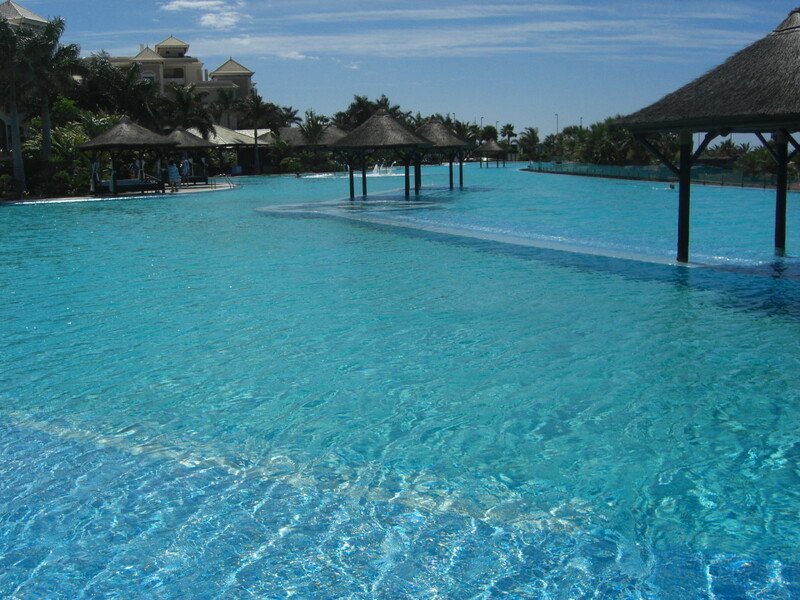 Your writing and tour is engaging and makes me want to travel to these wonderful places. Wonderfully done. This looks like a great place to stay and relax in one of the most beautiful regions of the world. Voted up and more, plus pinning. Thank you Linda. Glad you enjoyed the tour. This is a beautiful region of France. Wonderful Chateux and great wineries. We look forward to returning someday. Have a wonderful Sunday. Hi Kelly. Thank you. We really enjoyed our stay at Chateau de Pintray. Just a beautiful setting and the hosts were wonderful people. Thanks for stopping by, have a great day. Your hubs are always so interesting and attractive, Bill. This is another hub with beautiful photos and useful information. As always, I loved the virtual tour that you provided. I agree, the pictures are beautiful and the article was very informative! Thank you Heidi. I appreciate the nice comments. I feel very fortunate that I have the opportunity to visit these places. I never take it for granted and I always go with the attitude that I may never get to return so we try to do and see everything. I have many more hubs to write in the coming weeks on France so I'll be busy. Thanks again and have a great weekend. I am just constantly blown away by your beautiful travel photos! I agree with billybuc that you certainly have potential outside of HubPages land. 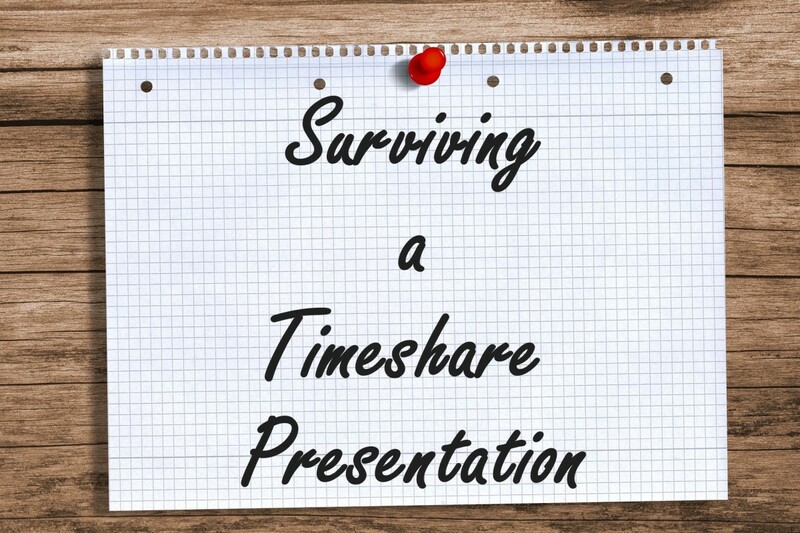 Keep working on that portfolio (and we love getting a sneak peek at it here on HP)! Happy Weekend! Hi Bill. Thanks. I'm just trying to get a little better with each hub and build a library of work so when I get to that point I'll be ready. Thanks again. Have a great weekend. There is a good sum of money waiting for you, Bill, when you finally start writing full-time. Newspaper columns, books....you will do well.